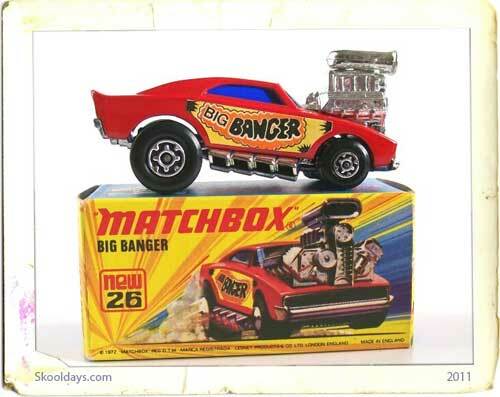 1968 Hot Wheels were very big. 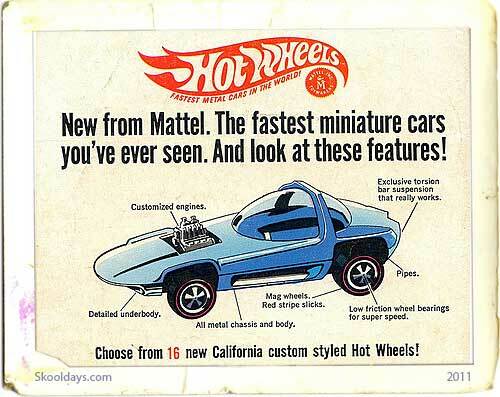 This was a poster promotion for Mattel miniature cars and proved to go down rather well with school kids.Now you could even be in charge of souping up the engine and become your very own mechanic. 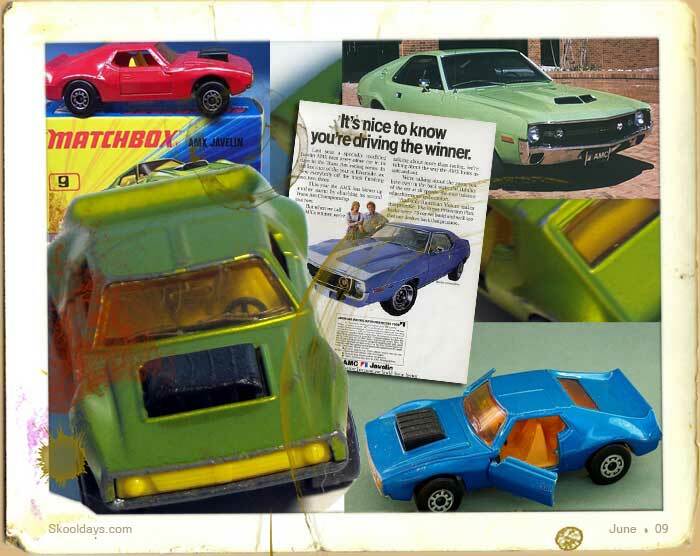 Yes customizing the engine on these models was amazing as a kid. 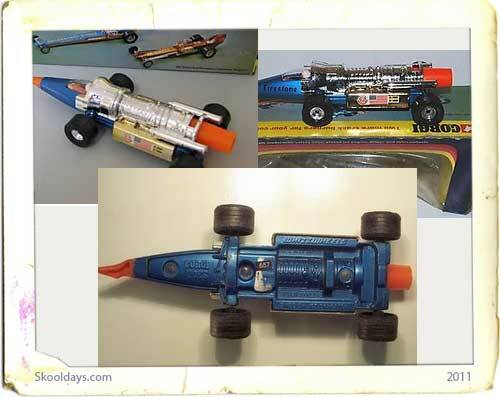 The nvel idea was down to Hot Wheels allowed you to have a key to change the wheels, a dream especially as you could swap wheels on the cars. 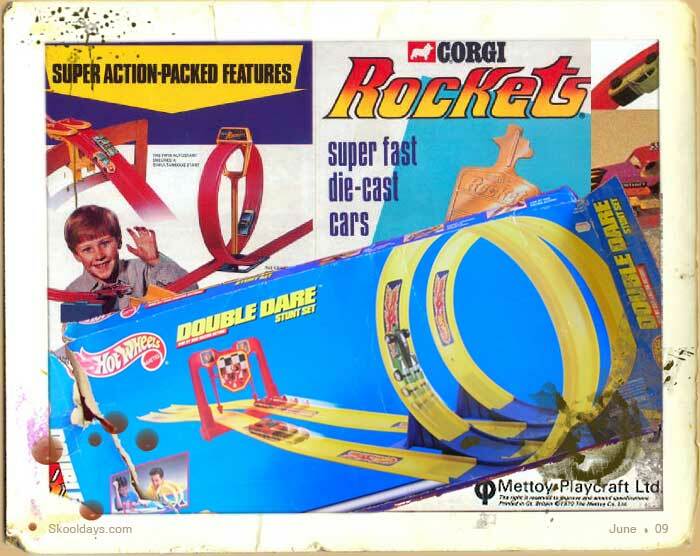 You could race them, stunt them on a 30 foot track with loop the loops. 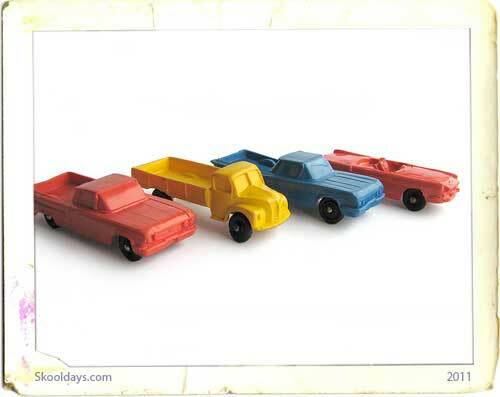 Hot Wheels claimed to have the fastest die-cast cars in the world, certainly they have really found a niche in the market. 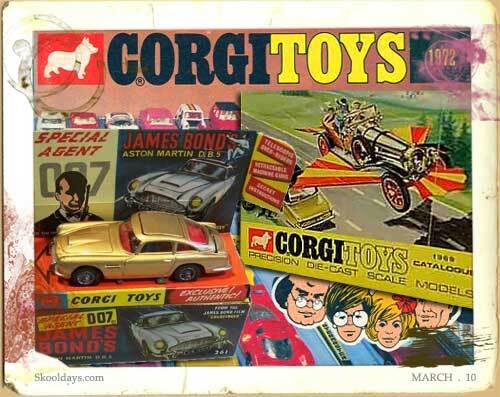 This entry was posted in Toys and tagged 1970, 1980 by Skooldays. Bookmark the permalink.